Utilidor expansion and refurbishment is a specialty PDC has been providing throughout Interior Alaska for the past 30 years. 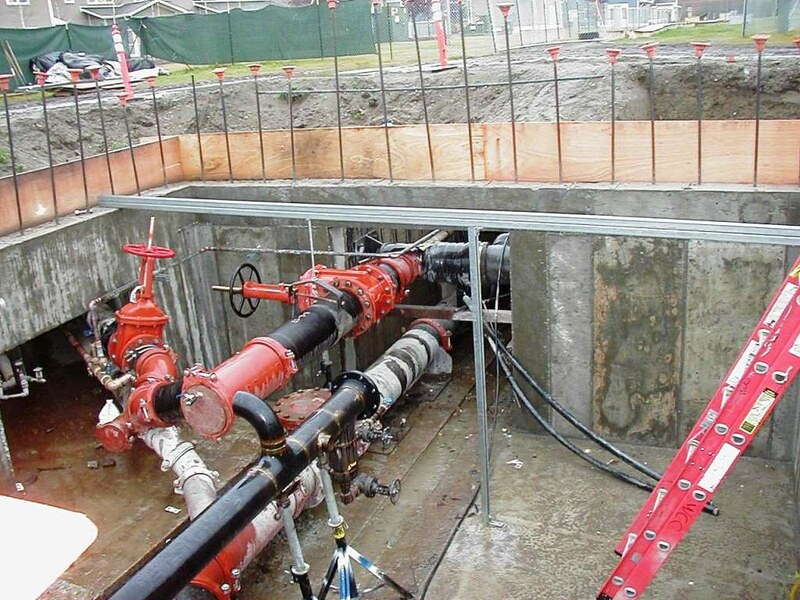 In 1986, we designed a $28 million expansion of the utilidor system in the southeast industrial area of Fort Wainwright (FWA) to support extension of FWA’s water distribution, steam district heating, and sewer collection systems to serve the needs of the 6th Infantry Division (Light). The utilidor upgrade rehabilitated over two miles of existing utilidor and added another two miles of new utilidor. When Doyon Utilities took ownership of the FWA utilities in 2008, PDC provided a post-wide characterization study of all the water, sewer, and steam district heating utilities. 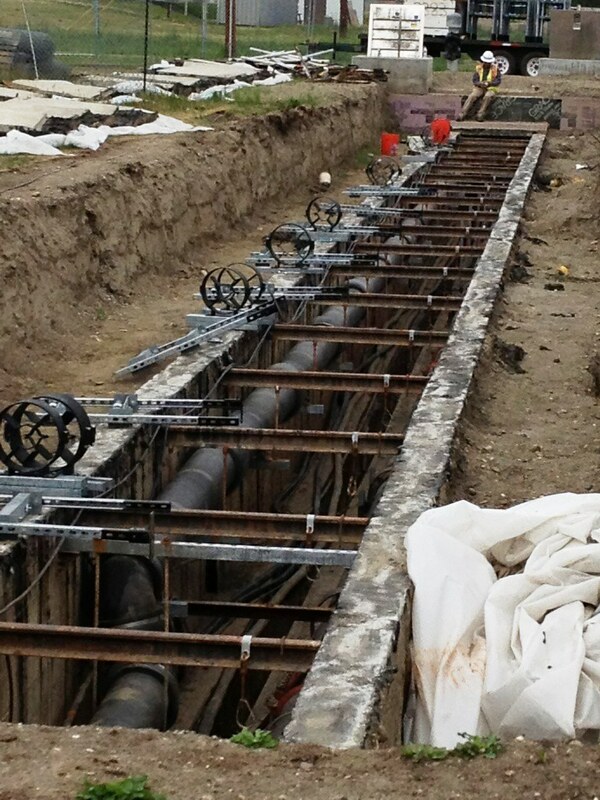 This included field condition assessment of 30 miles of utilidors and associated vaults. 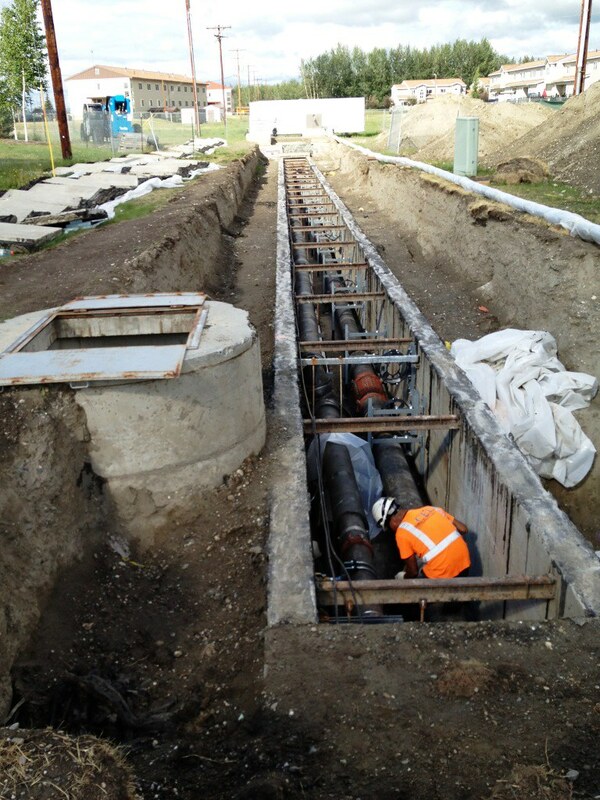 Replace steel pipe sewer and water mains to increase the life of these utilities. 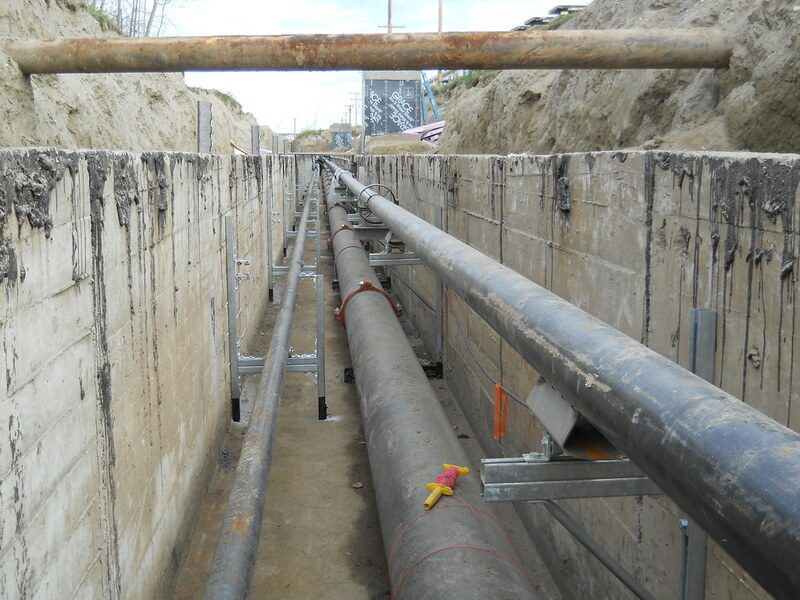 Since the 2008 utility study, PDC has designed six utilidor projects as the prime consultant, providing the civil, structural, mechanical, and electrical engineering services and performing land surveys. 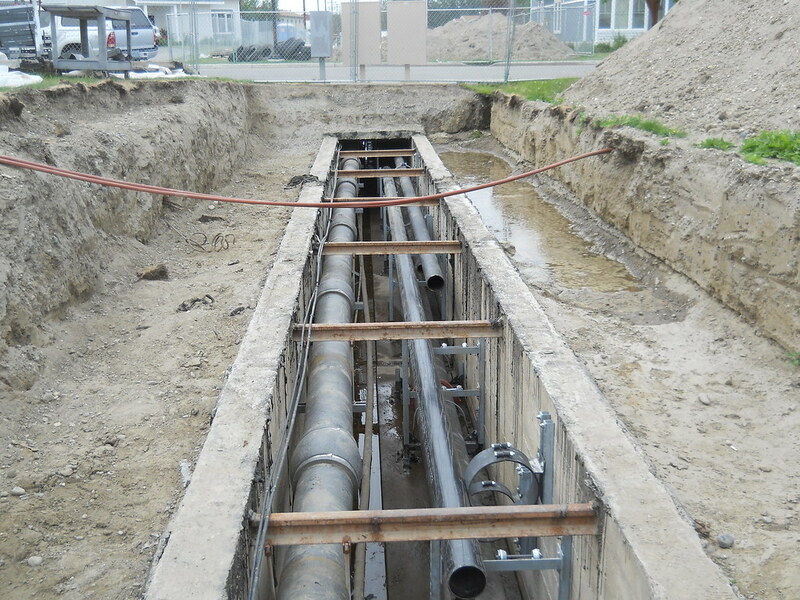 Typically these projects have included the complete removal and replacement of steam, condensate, water, and sewer pipes. 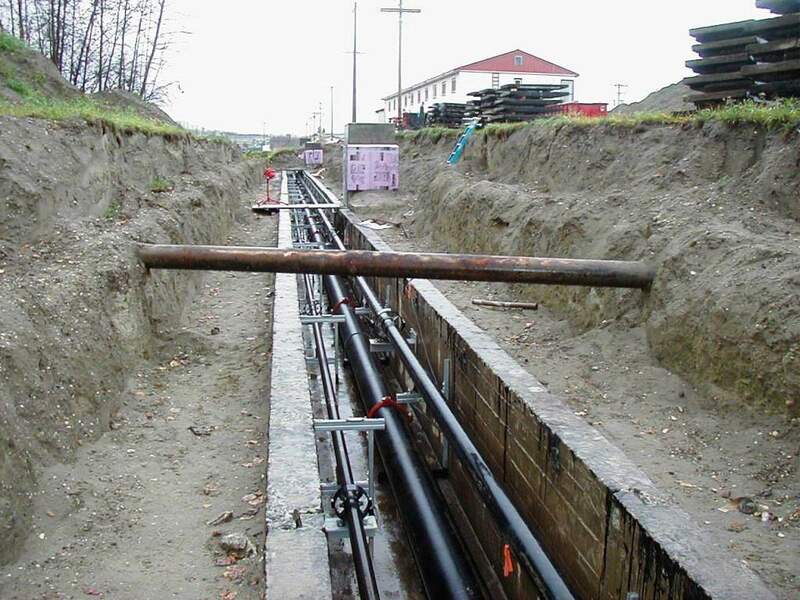 The work has also included connections to distribution mains (both within utilidor vaults and direct buried); connections to building services within mechanical rooms; and all anchors, pipe guides, expansion joints, drip-legs, valves, cleanouts, and other fittings, devices and appurtenances necessary for a complete and operable system. All of the post-2008 FWA utilidor work has required asbestos abatement. In addition, the original 1950s vaults and some of the later vaults are being upgraded with new hatch and entrance safety devices, lighting, and passive ventilation and elevated to prevent surface water inflow. Some of the vaults have been completely replaced to provide clearance and maintenance access for upgraded pipe and fittings. Current knowledge of field conditions is an important part of our design process. This means on-site inspections in confined spaces and areas of known or potential contamination with hazardous materials. We take our employees’ safety seriously. Each year our civil engineers, surveyors, and other staff who may need to enter utilidors receive asbestos awareness training, confined space training, and respiratory protection training along with fit testing so that they are able to perform these field inspections safely.